If you are big on picture taking, the 5.0 MP rear camera is really impressive. The images are sharp and clear, which is not common for photos taken from most tablets. Pleasantly surprising, the front-facing webcam although only a 2 MP makes for a very clear picture for a camera of that resolution. This feature is essential if you want to effectively take part in any sort of Skype, Facetime, etc. 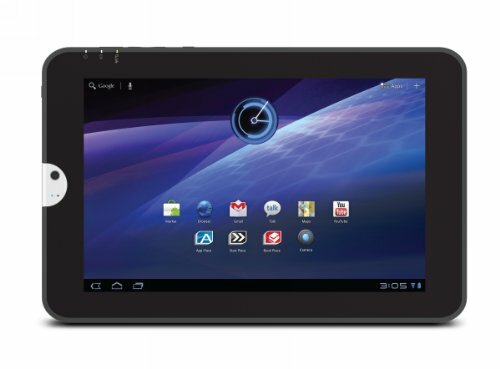 At 10.1 inches, the Toshiba Thrive tablet’s multi-touch widescreen display is perfect for the user. Whether you are browsing the web, reading a book or playing video games, 10.1 inches allows you to have a large screen while also be able to handle the device with one hand, if necessary. Possibly the best features that the Toshiba Thrive has to offer are the full-size USB, mini-USB, and HDMI ports. This is a total game changer in the tablet market! Many other tablets do not have these connections, which limit the compatibility with other devices. The HDMI and USB ports allow the Thrive to be compatible with almost all devices that you would normally plug into your home computer. These can be a computer mouse, a second monitor, a keyboard, etc. Also, you can plug in your digital camera and upload pictures!